Not going to the seaside this year? You can always count on your trusty, comfortable home patio or deck to be your peaceful retreat that provides hours of undisturbed outdoor lounging. Additionally, patios can turn your house into an instant hot spot for family gatherings and afternoon barbies with friends. However, if you don’t have a proper sun-cover, you won’t be able to enjoy your fun time at the deck throughout the entire day. Remove that obstacle easily by opting for one of these efficient and sleek shading solutions. Utilising various forms of greenery in a smart manner will not only make your outdoor space decidedly beautiful, but it will also serve as an energy efficient, eco-friendly solution. When it comes to smaller patio additions, consider surrounding your deck with large planters housing tall and lavish plants that can make the area feel more relaxing and create a lovely shade. It’s recommended to go with the evergreens for this purpose as they don’t only fulfil the height and density requirements, but they also smell divine. 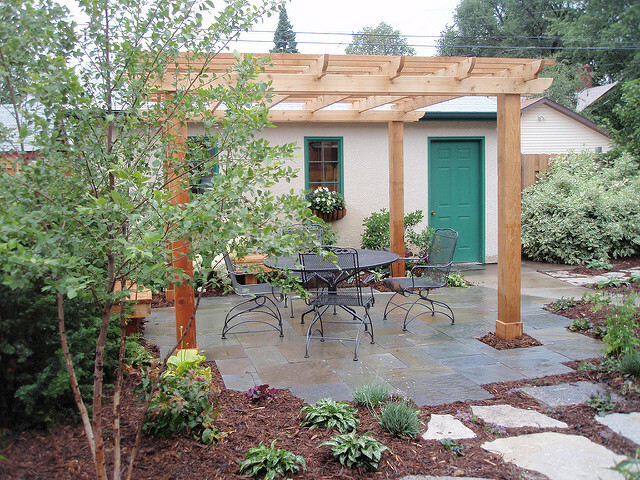 What’s best is that, if you decide to remodel your backyard later on, you can easily move them to a different spot. 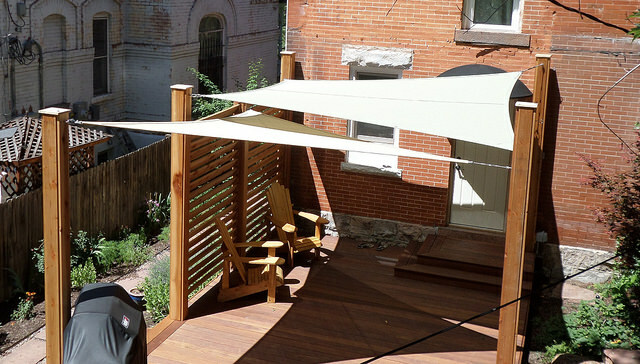 Another idea from the nature that can be employed as a backyard shading method is the inclusion of trees. You can find fully grown trees in your local nursery, and maple is one of the recommended fastest growing trees with a luscious, closely-packed crown. Another great solution that can serve you splendidly during the sizzling summer months is precisely the elegant shade sails. These can also keep the house from overheating, thus minimising your utility bill. You can find some great, affordable models that are both durable and weather-proof. your skin and making any serious mark. Decoration wise, you don’t have to worry about whether the sails will fit into your deck or backyard space since you can order a model with custom measurements. You can also pick from a variety of styles and hues shading sails come in and complement your outdoor space in a stealth and sophisticated manner. Fun and quirky: If you place a trampoline in a secluded corner of your backyard, you can easily transform it into a lounging area with a bunch of throw pillows, cushion bumpers and some neat shade sails. 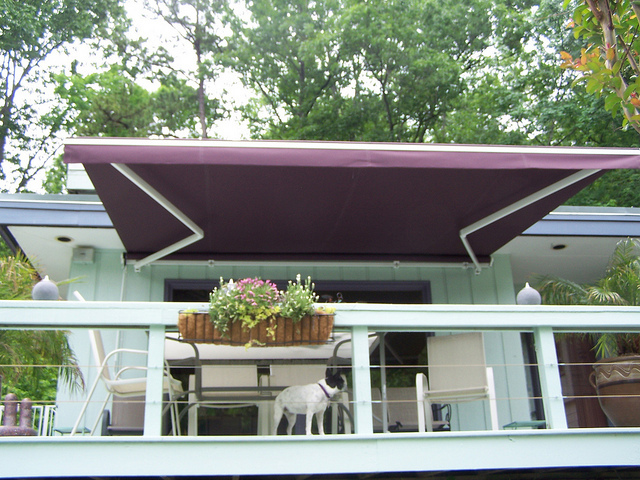 If you want to have both an unobstructed sunbathing deck and a pleasant shade, retractable awnings are just the thing for you. With these, you can switch to either mode within minutes using manual lever or remote control. This metal and fabric structure can be installed easily on any side of your house. You can even add side screens and create a snuggled nook. their width tends to surpass their length. The structure is an easy prey for the strong winds and storms when left opened. Consider hiring professionals to install your retractable awning as they may be a tad too heavy due to metal elements used in their construction. Vintage touch: If you want to give your garden an olden-times look, fit your outdoor area with retractable awning and vintage furniture from this era and revel in your open-air dining set-up. 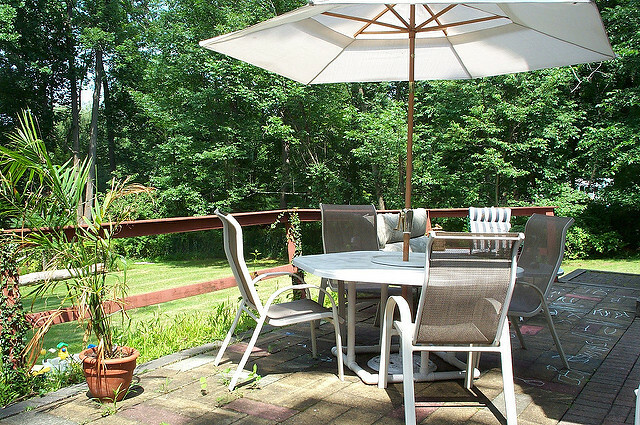 Scorching mid-day conditions can prevent you from enjoying your deck all day long. These were some of the most common and handy solutions that provide the much needed shade in the hot summer months.